Ubud Gianyar Bali is now the most sought after tourist destination. It had a bad impact on the increasingly crowded traffic. 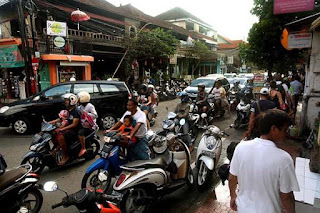 Traffic congestion in Ubud has become a nightmare of tourists who are on vacation. On time to reach the tourist attraction has become the most impossible thing to get when through the road in Ubud. 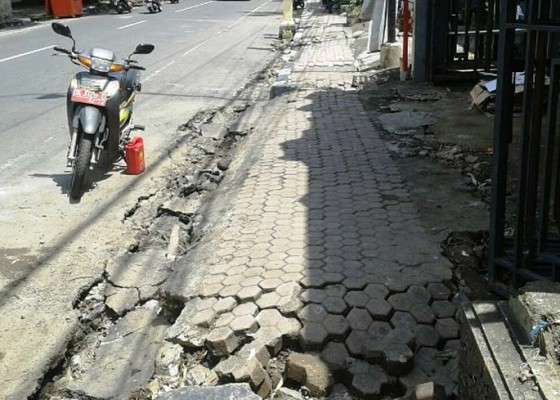 Many problems that hit the area of Ubud Gianyar Bali should be immediately addressed by the government. The plan of local government will make new rules and regulations related to Ubud. In the new regulation will set all things about Ubud including roads and traffic congestion that is very difficult to overcome if not done firmly. Chairman of the Association of Indonesia Tourisme & Travel Agencies (ASITA) Bali, I Ketut Ardana said in addition to trigger inconvenience, congestion in Ubud already disrupt the travel agency program. "From reservation we have set how long here, well when enter here (Ubud-red) with conditions like this all so disturbed. The survey conducted by Travel & Leisure, Ubud Bali is ranked 9th as the world's best tourist destination. Last year Ubud was in the top three. This survey has shown that Ubud is no longer the best destination. Assessment by Travel & Leisure to its readers who have been traveling to Ubud. Ubud scores only 90.13. With these scores, Ubud becomes the 9th best city in the world and the 4th best city in Asia. Fair if Ubud is now not the best destination in the world. Because the most hated thing from tourism activities is vacation. Because many trips become obstructed not in time until the tourist attraction. Hotel reservations are also being disturbed. Not only traffic congestion, sidewalks as pedestrian places also need to be addressed. Because many infrastructures for pedestrians have now been damaged and perforated, very dangerous for safety. Drainage also needs treatment. During the rainy season Ubud often floods. The smell of sewer and clogged drainage is also very disturbing. The stench from the garbage piled on the drainage canal. The large number of people in Ubud has had an adverse impact on the environment and city governance. Growing into the center of the economy in Bali. The economic sector continues to grow the impact of tourism development is increasingly stretched. A lot of pollution happens, from many sources of pollution and to many places around it. Tourist complaints against the condition of Ubud is now increasingly peaked. The procurement of the shuttle bus is seen as an urgent need, in order to break down the congestion in the tourist village. Congestion in Ubud is disturbing the travel agency program. From reservation is set how long here, well when entering into Ubud Gianyar Bali with conditions like this all become disturbed, because of traffic jams.